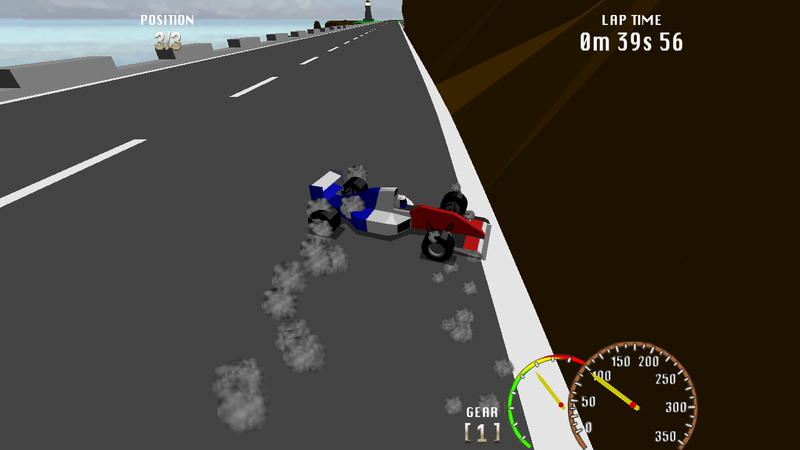 Formula Retro is an actively developed "Sega's Virtua Racing look-alike". I found it to be somewhat buggy (but stable) and I like the look. If you like the art style, you might want to give SimCar a go. PS: I recorded a short video of the action and found out that the art license (CC-BY-SA 3.0 ES) is compatible with the international version of that license. Whoah ! That's pretty nice ! I loved the Virtua Racing game even if it was a difficult game.